Chinese Sentence: 我有一个意想不到的东西给你看。 English Translation: I have a surprise for you Simplified Traditional Pinyin Tones English 我有一个 我有一個 wo3 you3 yi1 ge4 wǒ yǒu yī gè I have a 意想不到 意想不到 yi4 xiang3 bu4 dao4 yì xiǎng bù dào unexpected / previously unimagined 的 的 de5 de of / structural particle: used before a noun,. Chinese Sentence: 不要让机遇从我们身边溜走。 English Translation: Don’t let chances pass by Simplified Traditional Pinyin Tones English 不要让 不要讓 bu4 yao1 rang4 bù yāo ràng Do not let 机遇 機遇 ji1 yu4 jī yù opportunity / favorable circumstance / stroke of luck 从 從 cong1 cōng lax / yielding / unhurried 我们 我們 wo3 men5 wǒ men. 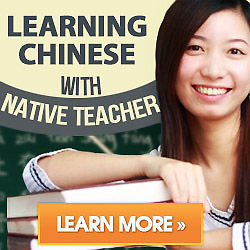 Chinese Sentence: 这幢房子是什么时候建造的? English Translation: When was the house built? Simplified Traditional Pinyin Tones English 这幢 這幢 zhe4 chuang2 zhè chuáng This is a 房子 房子 fang2 zi5 fáng zi house / building (single- or two-story) / apartment / room / CL:棟|栋 是 是 shi4 shì is / are / am / yes / to.